Donate to preserve and strengthen raptor populations, expand participation in raptor preservation, and help foster the next generation of preservationists. Bob Anderson founded the Raptor Resource Project in 1988 to produce peregrine falcons as part of a nationwide effort to restore the critically endangered bird of prey to the wild. Once peregrines began returning, the project expanded into management. Through RRP, Anderson and his colleagues pioneered a program to attract falcons to utility stacks, launched a controversial breeding and release program to return falcons to Mississippi river cliffs, and organized a team of volunteer observers and climbers to monitor and band birds of prey on stacks, cliffs, water towers, and other high places. All of these programs proved enormously successful. By 2011, over 1,000 young peregrines had been produced on Midwest power plants, falcons had bred on a total of 21 Mississippi cliffs since their return to the river, and Anderson and his team were monitoring over 40 peregrine, owl, osprey, kestrel, and eagle nests every year. 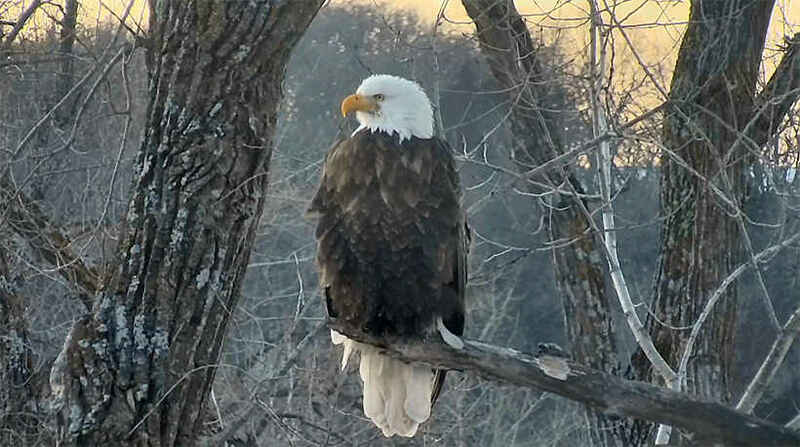 While the Raptor Resource Project installed its first bird cam in 1998, it took the Decorah Eagle cam to bring international recognition to our birdcam work. Since 2011, over 348 million people have watched the Decorah eagles raise a family every year. The Raptor Resource Project has consulted with organizations around the world on live cam projects, including the Philippine Eagle Foundation, the World Center for Birds of Prey, the US National Park Service, the Cornell Laboratory of Ornithology, and countless smaller groups. Our work provided a foundation for camera studies in the wild and inspired watchers to take conservation action on behalf of the wildlife in their own lives and neighborhoods. Bird cams are a critical part of our mission to preserve and strengthen raptor populations, expand participation in raptor preservation, and help foster the next generation of preservationists. The web site is worth more than any movie ticket! If it wasn't for organizations like RRP, ALL wildlife, not just raptors would not stand a chance for their survival. THANK YOU! In honor of D30,my fav '18 Eaglet. His egg delivery was my 1st night watching this nest! Middle child, peacemaker, momma's boy, 1st to Skywalk/fledge! This is a donation for the memory Judy Elaine House, from the Germantown Rays 12u baseball family. So many efforts from so many that take time and love for us to view our special eagles. I am happy to help in my small way! To assist in preserving and learning about nature. Love my Decorah Eagles. Have watched for many years. Love this site and the Decorah eagles. Happy to donate in honor of Dad.